Hello there, hope you are all well. 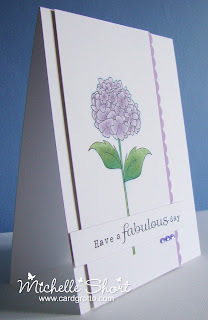 Today I have a card to share that uses the new Clearly Besotted Stamps Just Fabulous stamp set. I have used the outline image and coloured with Copic Markers adding a little Spica to their centres. The sentiment is from the same set and has been cut using a MFT Fishtail Flags Stax die - LOVE these! Thanks so much for visiting me today, it's warm and sunny here in Surrey. Hope it is nice where you are! Stunning card Michelle. I LOVE that image and your delicate colouring is so beautiful. The new release looks wonderful. 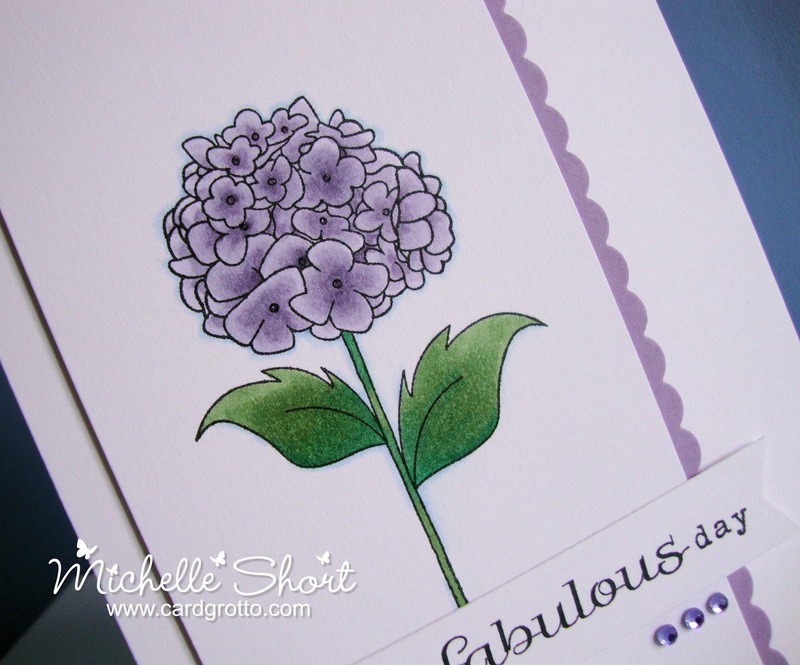 Gorgeous colouring Michelle - I kind of knew you'd create a gorgeous purple hydrangea!!! I played with that set last night too - beautiful isn't it? So enjoy watching your haul videos too - even though I have the stamps I get excited watching you showing them, lol!! Superb colouring with Copics, as ever! 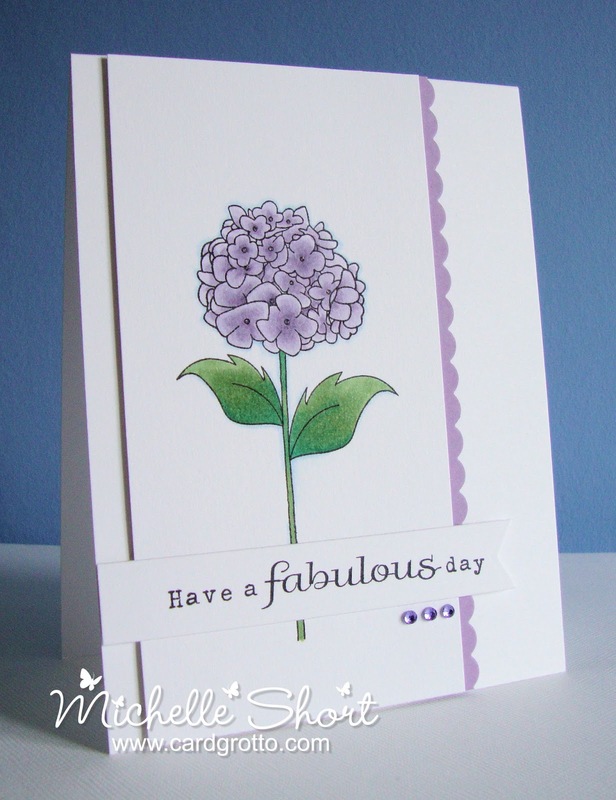 Hi Michelle, the colouring on this card is really stunning! I don't use copics but I must say that your colouring is among the best I have seen using copics. Glad you are enjoying warmer weather. Here in Australia it is mid Autumn but we still are getting warm days - I need to wear short sleeves again today! 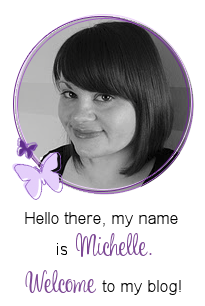 You make the most light and airy cards, Michelle. A sigh literally escapes my lips every time I open your website! 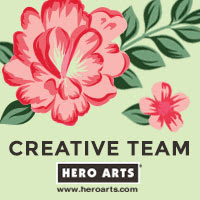 And hydrangeas are a favorite flower, so I'm sighing all over the place today! !